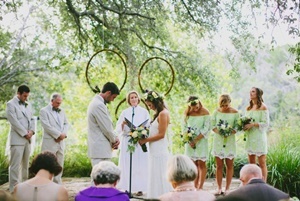 Here are some fantastic Central Texas and Hill Country outdoor wedding venues. 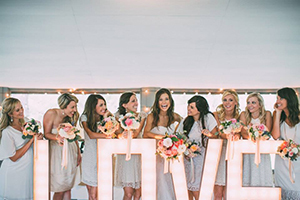 The below wedding venues in the Central Texas and the Texas Hill Country area are some of the best places to get married and share your magical moment with friends and relatives. 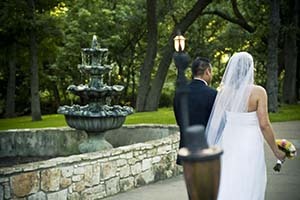 These wedding locations in Central Texas and the Hill Country specialize in making your wedding memorable. 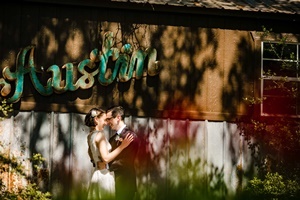 You might also want to check our Austin Area Outdoor Wedding Venue Page. 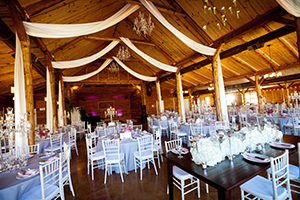 Rambling Rose Ranch, a Austin style boutique event venue situated on a 14.9 acre ranch, is conveniently located between Austin and Dripping Springs. This gives you and your guests the feeling of being out in the hill country without the long drive from Austin. RRR has been developed with artist flair using salvaged architectural details to create a truly one of a kind space to hold your special occasions. Dance the night away under the stars on the limestone patio surrounded by lush gardens and hanging vintage windows. Say your â€œI Doâ€™sâ€� in front of a 100+ year old majestic oak tree while your guests enjoy sitting on garden benches salvaged from Schlitterbahn. Enjoy a seat around the fire-pit, while guests play ping pong on our outdoor ping pong table. RRR believes a memorable event is one that creates a feeling of comfort for all who attend and that is why their goal is to create a place that evokes a feeling of home for all who are invited to meander down the drive. Brides will love the seclusion that Chateau on the Creek Offers. The first thing your guests will notice is the creek meandering along side the front lawn, the park like setting of the green lawn and huge old oak trees, the four tiered fountain that greets them, and the gazebo decorated as a back drop for your wedding. The Chateau offers an old windmill draped in white Christmas lights, a stone and oak beam venue with a large front porch, central air and heat for your complete comfort regardless of the weather or humidity and a beautiful outdoor 1,800 Square foot patio/fireplace with firepit and backlit waterfalls. The Chateau is a romantic setting for your wedding with that Hill Country ambiance but is conveniently located only 1.6 miles West of I-35. 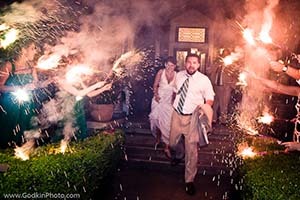 Check out the Chateau on the Creek Wedding Special that can save you up to $1000! Take a look at the Video in the brochure. 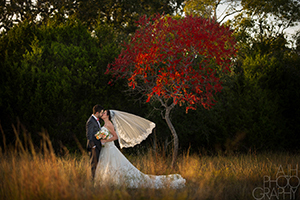 Step into marital bliss with a celebration at one of our spectacular venues in the Texas Hill Country. Whether you envision dancing under the stars at Pecan Grove, sipping cocktails overlooking the sunset at Thurmanâ€™s Mansion, or exchanging vows in the vineyard, we have a venue for every bride. Savor our world-famous Bar-B-Que, or enjoy simply prepared ingredients that do more than tantalize your taste buds with our Beyond Bar-B-Que catering menu. Thank you to Mint Photography for the picture. 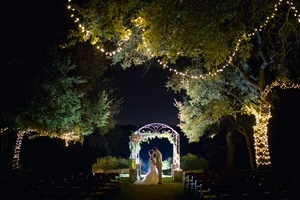 Established in 2003, Kindred Oaks has been the starting point of over 1,000 marriage journeys, earned its place as the Best Wedding Venue in Austin and Top 10 in Texas for a reason. We are a service company and we are honored to help families the world over, in creating uniquely styled wedding events from start to finish. 75% of our clientele opt in to one of our inclusive packages so that they can rest assured that the details are taken care of and the work is handled by those who've mastered the art of 'getting the job done', leaving you and your family to live only in the moment and create memories to last for generations.. Located in the San Antonio Texas Hill Country, our 4-star resort offers endless options for the wedding of your dreams.Â From indoor, elegant and elaborate affairs, to small, intimate outdoor weddings and everything in between, Hyatt Regency Hill Country Resort and Spa has something to please every bride.Â Enjoy unique outdoor wedding venue locations with true Texas charm, upscale accommodations and much more.Â Call our experienced, expert wedding specialists at (210) 520-4014 to start planning your Hyatt Hill Country happily ever after! 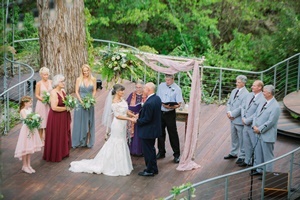 Imagine saying your wedding vows on a platform nestled between two ancient cypress trees, a spring-fed creek whispering below your feet, a beautiful sunset and seasonal fireflies as night falls, and friends and family observing the ceremony from a cool creek ravine amphitheater. After your ceremony, dine and dance in an awe-inspiring reception pavilion where you are still immersed in nature thatâ€™s been in the making for hundreds of years. Following the ceremony you can spend a romantic night in a tree house perched above a creek and up to 28 of your guests can overnight in 4 other treehouses and a ranch house. May sure you also consider a fun and exciting zipline canopy tour for your wedding party. Located on 18,000 acres of prime Texas Hill Country in Uvalde County, The Ox Ranch is the ultimate location for any event; they can host as many as 400+ people, with their on-site accommodation able to sleep 100 guests. Along with the luxurious log cabin decor that is the theme throughout the ranch, the natural aesthetics, such as the spring-fed creek and exotic species, also provide the utmost grandeur. Their in-house Event Coordinator and Award-Winning Chef can ensure your event is flawless and unforgettable. 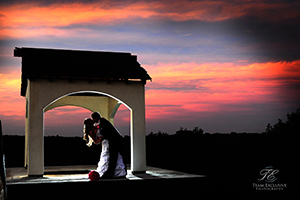 The Marquardt Ranch is a premiere location which is framed by magnificent views of the Guadalupe River. Whether you choose to take in the captivating interior design, or the beauty of a Hill Country sunset from their outdoor venue, the charm of this magnificent setting is captivating for Texas Outdoor Weddings. Located on 275 acres in the beautiful rolling hills of Hamilton Country, Gap Creek Ranch is uniquely rural, rustic and elegant. The ranch house overlooks a 12 acre lake and is among the finest homes in the region, and the outdoor amenities transform this working ranch into a welcoming and comfortable place to gather friends and family together for a memorable wedding. 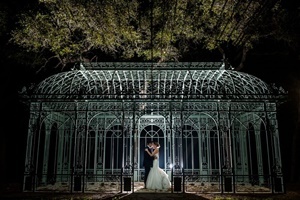 One of the most historic inns in Texas, Crystal River Inn offers you a romantic 1883 Victorian inn and garden complex for your wedding ceremony and reception. Imagine your ceremony on a huge brick-floored tented courtyard under towering old pecan trees, surrounded by the magic of chandeliers,Â fountains, thousands ofÂ tiny white lights, and a rose garden. The adjacent atrium dining room isÂ perfect for intimate dinners and includes a fireplace, piano, and wetbar. For those who dream of a fun destination wedding, the inn features 12Â beautiful guest rooms housing 32 people.Â The Crystal River Inn is beautiful without being stuffy or formal. Its hallmarks areÂ comfortable, elegant simplicity, affordable prices, and absolutely glorious food. The stunning venues at Camp Lucy offer the picture-perfect settings for unforgettable weddings. 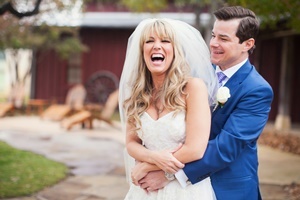 This Texas Hill Country wedding destination is located in Dripping Springs, just minutes from Austin, defines sophisticated Texas romance. The four distinctive venues at Camp Lucy each provide their own unique setting and experiences. 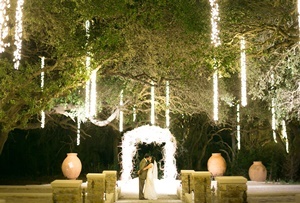 Several of the onsite venues offer majestic event halls, lush great lawns, lavish landscaping and magical indoor and outdoor ceremony sites to create an event as unique as the couple themselves. Camp Lucy also offers luxury on-site cottage accommodations for your guests, as well as a resort pool and fine dining restaurant. This unique venue features the Texas Hill Country while incorporating a Spanish style influence. La Hacienda gives couples the option of getting married in an intimate indoor chapel or outside under beautiful 100-year-old oaks while also enjoying the use of our climate-controlled pavilion made of natural stone and stucco. Please feel free to contact La Hacienda today regarding additional information. Check out La Hacienda at Memory Lane's wedding special. Family owned and operated Ma Maison (French for â€œmy houseâ€œ) tastefully blends European inspired decor with friendly Southern hospitality and beautiful wine country surroundings, calling to mind the gracefulness of venues in Napa Valley or Provence. 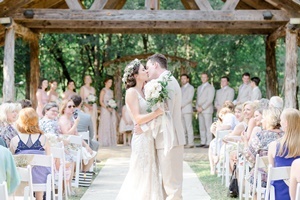 Tucked away on 23-secluded oak-covered acres just outside Austin, the versatile venue boasts three romantic outdoor sites under the peaceful shade of aged oak trees, against a picturesque lake backdrop or under a reclaimed antique French gazebo. Those preferring the indoors will love the exposed wooden beams, crystal chandeliers and antique French touches of the exquisite Great Hall (4,000 sq. ft). Any special event starts with a stunning venue. 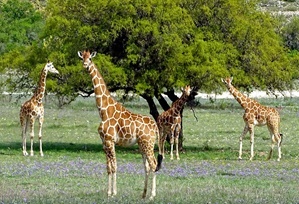 Texas Old Town is home to four of them. Nestled on 70 acres of gorgeous countryside, each unique venue offers a private ceremony site, spacious reception hall, 16-hour rental, choice of vendors, and much more. Whether you are looking for DIY flexibility or an all-inclusive wedding package, you can rest easy knowing that at Texas Old Town, the choice is yours. Located in the heart of the Texas Hill Country in Kyle, Texas, just minutes from both Austin and a short drive from San Antonio. 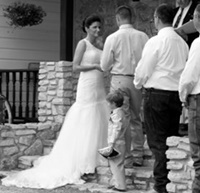 Memory Lane Event Center is located amongst the rolling hills in Dripping Springs. Memory Lane specializes in all events including: weddings, parties, corporate events and much more. Your event is uniquely catered to your desires, making no event the same. Memory Lane also offers many In-House services for your event such as: day of coordination, floral, table linens, DJ, and bartending.. 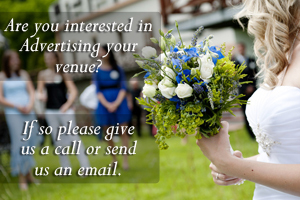 Please contact us and we can set up and appointment to start planning the event of your dreams. Check out Memory Lane Event Center, LLC wedding special.